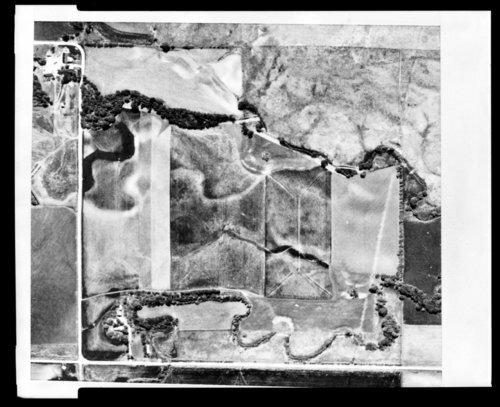 Two aerial photographs showing portions of Lincoln County, Kansas. The cropped version shows the location of the Lincoln County poor farm. It was located in the Northwest Quarter of Section 34, Township 11, Range 7 West of the 6th P.M. and consisted of 160 acres. Later, the property was part of the Jeffers farm.